just this sort of day. 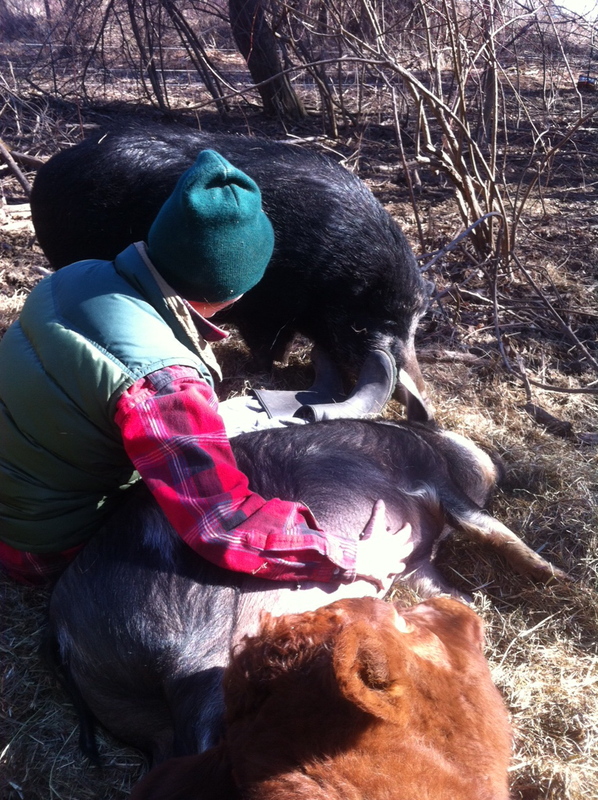 getting in on the veritable pig pile in the back pen. well pig and cow and farmer pile. i do think bella is the only cow that knows how to snuggle. monday is for putting off real farm work. and cake baking. and writing anything substantial. it is just for snuggling animals. see you on the flip side. A snuggling cow! That sounds like the sweetest Monday ever. well. you're in luck. my dogs will no doubt be in your lap to snuggle at some point tonight, despite my best efforts to keep them in their bed. My heart just melted a little bit. Thank you for posting this. I do feel that snuggles could solve all the world's problems and anyone of us would trade you in a second. i heard you say cake baking...¿¿¿? thank you, and to know another (little) chicken. let us farm, with peace.